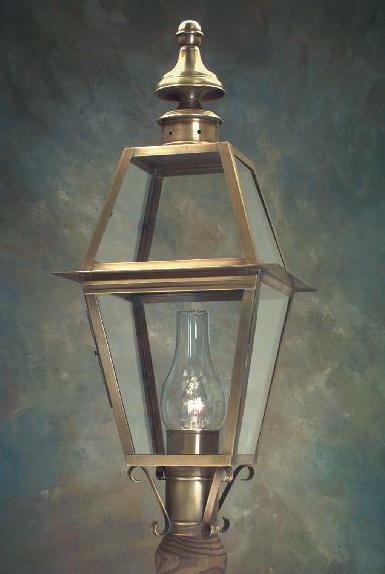 First of all, at Hammerworks we handcraft our Colonial Post Lanterns in America. Above all, our meticulous attention to detail results in historical period accuracy. We fold, bend, cut and solder completely by hand. Thus, we produce an heirloom quality pole lamp. 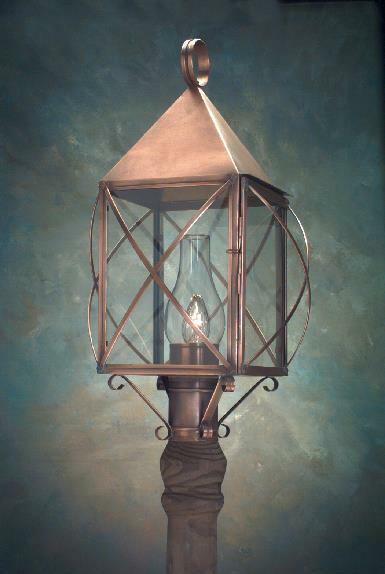 In addition, we offer a variety of finish options for our handcrafted lantern tops. Therefore, we custom make Copper Post Lights in your choice of verdigris, painted black, & antique brass in addition to copper. 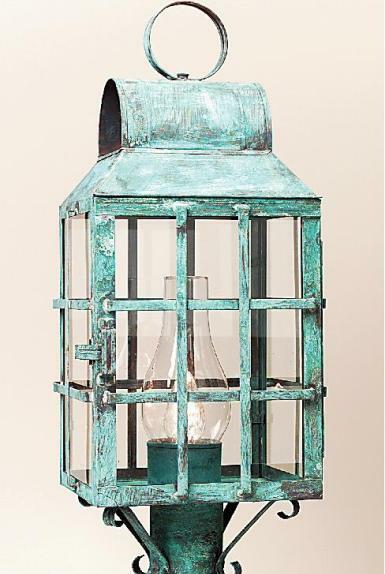 No matter which you choose, the hand rubbed antique copper and brass finish gives the light fixture an attractive satin patina, while verdigris provides a rustic weathered appearance. 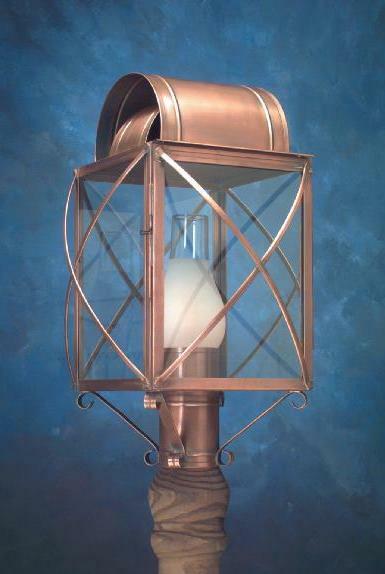 Most notably, we make each handcrafted pole light with an industry standard 3″ fitter. Thus, whether you choose a Wooden Cedar Lamp Post or one of our Aluminum Poles, it will mount securely. 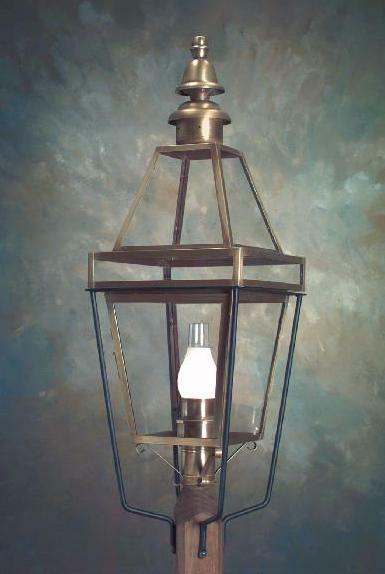 More importantly, our custom solid brass and Copper Outdoor Post Lanterns will last for years to come. 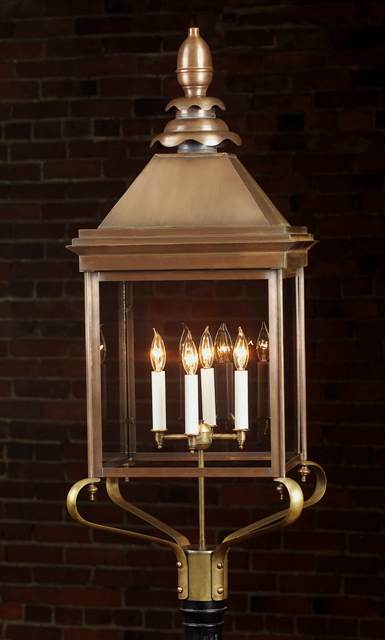 Especially relevant, we design our rustic handcrafted Early American Colonial Post Lantern to provide a glowing warmth, similar to Colonial Wooden Chandeliers. 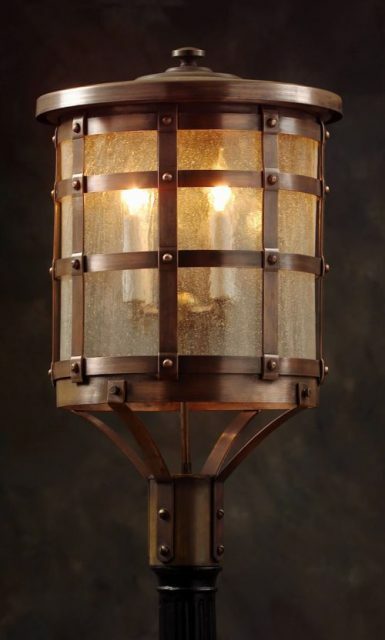 Yet the beauty of traditional outdoor solid copper or brass lamps also provide a dramatic accent in daytime. 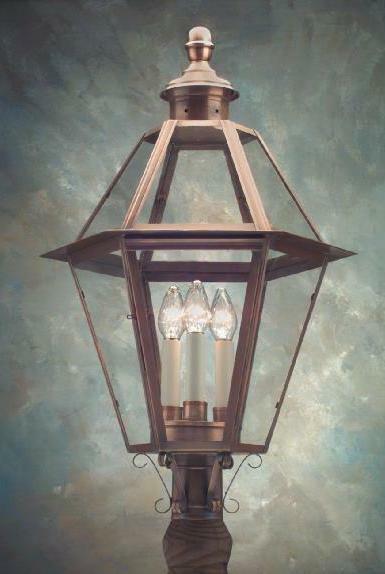 Furthermore, the classic look of reproduction home post lights, Colonial Wall lanterns & hanging fixtures endures as a staple of outdoor illumination. As a result, due to the quality and accuracy of our period lights, they are chosen for municipal and historic restoration projects throughout the U.S. Consequently, they continue to light the streets & venues of cities and towns today, just as in Early America. 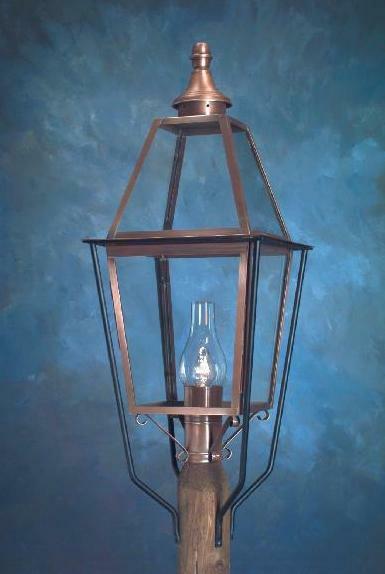 Most importantly, when choosing size and quantity of Outdoor Copper Colonial Post Lanterns, consider several factors. First of all, do not shy away from size. A driveway or walkway pole light may appear undersized if not scaled properly to the setting. Therefore, the distance from the lantern to the building, as well as the building size are important. Furthermore, on a long driveway multiple outdoor fixtures may be necessary, for proper illumination as well as aesthetic value. Because a uniform appearance is visually pleasing, we make a wide variety of matching classic Copper Outdoor Colonial Wall & Hanging Lights. 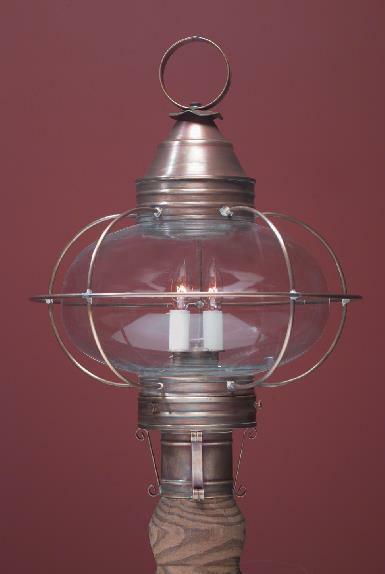 No matter which you choose, you’ll love how they look with your handcrafted post lantern! As a result of our attention to detail and quality craftsmanship, it guarantees a high end quality light. 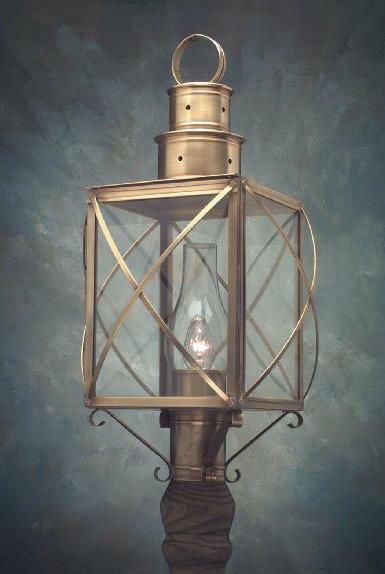 Therefore, our Early American home wall or hanging fixtures will illuminate any doorway to your antique home for generations. As always, we handcraft each of our traditional reproduction wall & Colonial Hanging Lights in a choice of solid copper or brass. 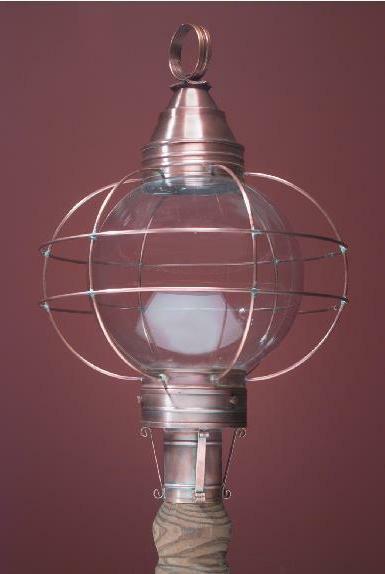 Boston Street Light Designer Jonathan Biggs created the original Colonial Boston Post Lantern. Probably one of the most iconic enduring designs among antique style lights, this imposing fixture has since become a classic for street illumination. Most notably, hundreds of Boston Post Lights are still seen today throughout the streets of its historic namesake city. 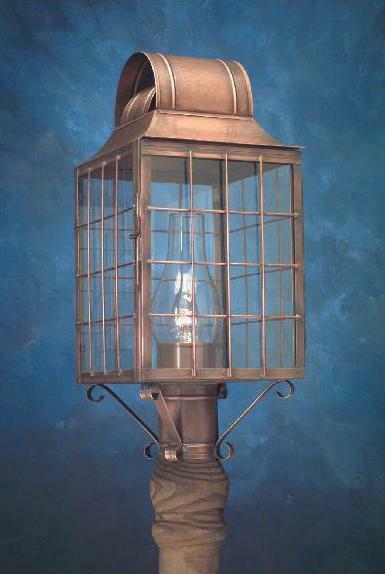 Above all, the attractive and durable design of our reproduction Boston Street Light combines the best features among all the lanterns of this period. In addition, the steel cradle support ensures strength and stability. 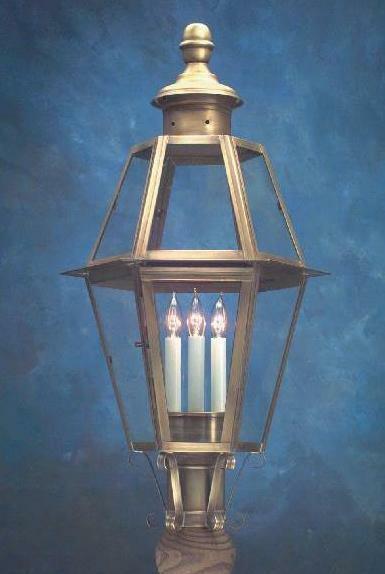 This aids in protecting these stately classic fixtures against the elements of Mother Nature. Finally, the Boston Street Light is an excellent choice to enhance and illuminate the landscape of a restored or reproduction home. 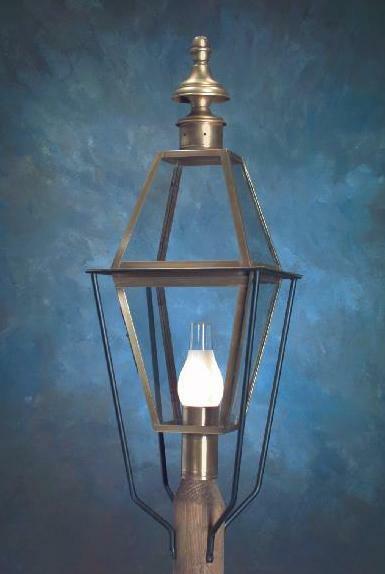 In addition, this lantern is utilized in a wide variety of commercial projects, including restaurants, inns and large scale condominium & housing developments. 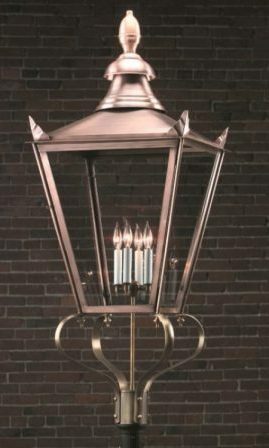 Similarly, another popular choice, the P113 Colonial Copper Post Lanterns are named after the famous Boston Architect, Royal Barry Wills. He is probably most well known for creating the original quintessential Cape Cod home design. Likewise, the “Wills” design is as popular for today’s Cape Cod style homes as those of yesteryear. In addition, it is a popular choice on streets and walkways in New England and across America. 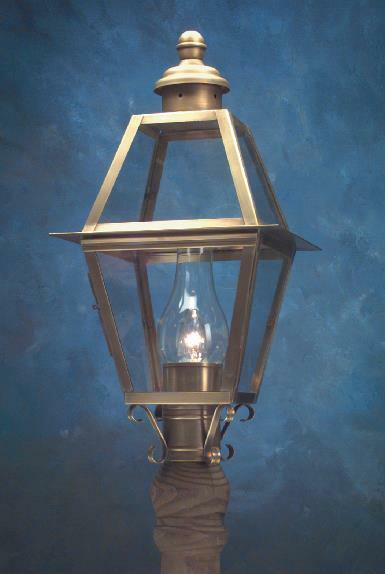 In addition, the Wills Colonial Post Lanterns can be seen along a Historic Canal Park in Walnutport PA.
As you can see, we offer a complete collection of Colonial Lighting. 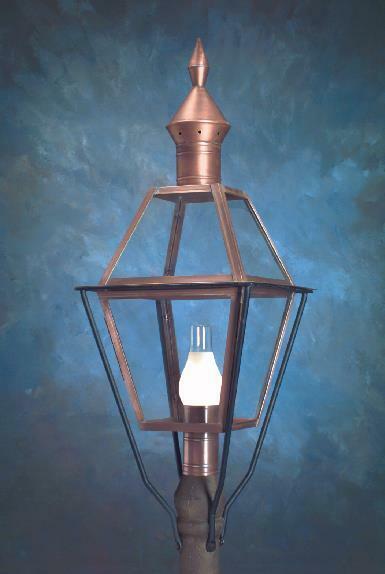 In addition to our wide variety of outdoor fixtures, our product line extends to every interior room of your home. From Colonial Ceiling Lights for the smallest powder room, to large Colonial Tin Chandeliers in an expansive great room, we offer many choices. Our “Punched Tin Design” pendants and chandeliers are particularly popular. Because each piece is completely handmade, custom options are always available. More importantly, lights are available in a variety of sizes, styles and finish selections. Therefore, whether it is one room or an entire home, you will to find exactly what you are looking for at Hammerworks.